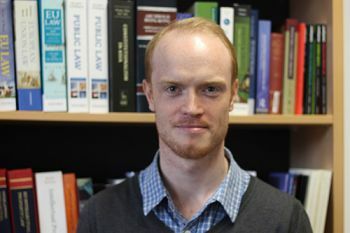 Lecturer in The City Law School, Dr Luke McDonagh, analyses recent trademark legal disputes between rival chocolate manufacturers. 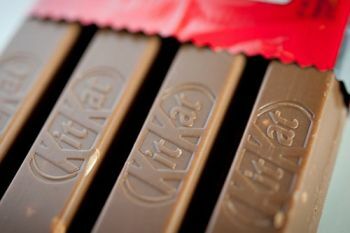 First, in mid-September the Court of Justice of the EU ruled on Nestlé’s bid to receive UK trade mark protection for the (allegedly) distinct shape of the four-finger version of the KitKat, long touted as the UK’s favourite chocolate bar. Nestlé’s main aim is apparently to prevent a rival four finger chocolate bar from being marketed by Cadbury. Then, in late September the German Federal court ruled on the dispute between jelly sweet giant Haribo and Lindt over Lindt’s chocolate bears and Haribo’s “Gold Bear” trade mark. Dealing first with the KitKat case, Nestlé’s claim over the four finger shape was framed around two fundamental aspects of trade mark law. First, it is possible under trade mark law to register a three dimensional shape – in this case the four fingers – as a trade mark, as long as that shape has sufficient “distinctiveness”. It is also possible for a shape to “acquire” distinctiveness through use in the marketplace and consumer recognition. Cadbury argued that the shape had not acquired sufficient distinctiveness in the minds of consumers. So far, so simple. But the other key question centred on whether a shape with so-called functional elements in its design could also be protected as a trademark. In the case of the KitKat, that basically refers to the ability to break off each individual finger to dip in your tea (or however you choose to eat it; I’m aware it is a personal thing). Now, generally, the law does not protect purely “functional” shapes – the reason being that competitors ought to be allowed to produce competing goods. Nestlé has always claimed that even without its well known red and white packaging or the use of the existing trade mark name, the shape of the bar should of itself be regarded as sufficiently distinct, and it claims some consumer survey evidence to support this. For Cadbury there is a further sting in the tail. On the issue of functionality the court’s ruling seems to strongly favour Nestlé because the key elements of the four finger shape do not seem to fall within a single category of objection, which means that Nestlé’s four finger shape is likely to survive this test. The case now returns to the High Court for a determination on the facts. The case between Haribo and Lindt has a similar ring to it, and is again all about stopping rivals encroaching on your space in the confectionery aisle of the supermarket, however limited that danger might appear to us as shoppers.Their dispute concerned the “Gold Bear” trade mark under which Haribo has long marketed a well known range of gummy bears; the words themselves are protected under trade mark law as a word mark. The problems started when Swiss chocolate maker Lindt began selling a gold foil-wrapped chocolate teddy bear. Haribo was quick to accuse its rival of infringing the Gold Bear trademark.